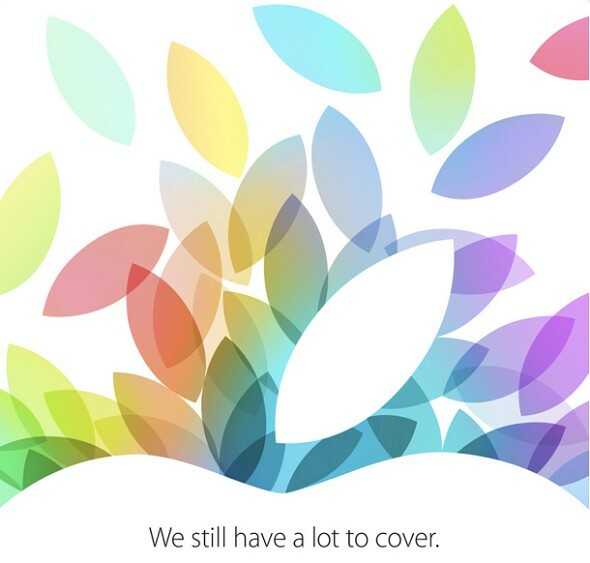 Confirming the rumor, Apple today has sent out invites to media for an October 22 event. Almost a week ago, we reported the rumor about that and now it all seems to be nicely confirmed. In their invites Apple is not hinting in any way what the main topic will be, but we all know the event is going to be about the next iPad(s). Right about the same time last year (Oct 23, 2012) we saw Apple announce their current iPad model, as well as the iPad mini. It makes a perfect sense to see the announcement of the new model(s), come October 22. Based on the numerous leaks so far, we expect the fifth generation of the iPad to come with the same screen size but thinner bezels and a fingerprint reader ala iPhone 5s. The iPad mini, on the other hand, may have some internals upgraded but we're not quite sure about that Retina grade screen resolution. Design-wise, it should remain the same. Both iPads should have newer color versions, too. Common sense also suggests we may even see refreshed MacBook Pros with Retina screens (bringing them up to speed with the new Intel Haswell processors). Apple's event will take place in the Yerba Buena Center for the Arts Theater in San Francisco and it will begin at 10am PT. That should translate to 6pm UK time. Coincidentally, Nokia will also be announcing its share of devices on that date. Nokia World is slated to take place on the same date, but in Abu Dhabi. This one will start at 8am UK time.